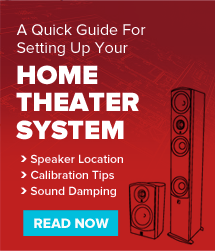 Aperion Audio Blog – Tagged "Home Theater Blog"
This will be a race to the finish for many of these productions. Some of the movies listed here were scheduled to be released last year, but got bumped for whatever reason and some may yet not make it. Either way, here are the most anticipated films coming out this year! We are surrounded by sounds and frequencies which extend beyond the realm of what we perceive as ‘sound’. However, there is a growing body of evidence to suggest that we ‘sense’ these high frequencies, just as we ‘feel’ sub-sonic sounds. This elusive concept has confused many audio enthusiasts over the years. Timbre is not something you can figure out on paper and there is no spec or graph that will describe it. Find out the bottom line on what you need to know about timbre.